Other photos: Photo 1, Photo 2, Photo 3, Photo 4, Photo 5, Photo 6, Photo 7, Photo 8, Photo 9, Layout, Intercoolers rebuilt, Photo 12, Photo 13. JAWS II. $450,000 refit including coolers, shafts, cushions, interior, electrical, electronics, plumbing & sanitation. Upgraded Volvo Penta 675 hp D-12's (vs standard 450 hp) with 1200 hours offer 32 knot WOT. Sleeps six. 2 staterooms and 2 heads plus opposing couches in the salon combine into a Queen bed. Completely restored classic 2002 50′ Viking Princess performance flybridge motor yacht. This model is also called a Viking Sport Cruiser. Newer models are called Princess Yachts. FULL 1000 service done including all coolers. Shafts & props removed & balanced. New Side-Power bow & stern thrusters. All new wiring and electronics on both upper & lower helms. All new LED lights. All new sanitation lines and pumps. All new interior including leather, flooring and carpet. All new exterior cushions. New work is ongoing into 2019. Buy this Viking Princess if you want to comfortably travel in luxury rather than sitting at a dock. Have confidence in the build quality of a fully restored classic Viking Princess. Enjoy the reliability of Volvo Penta straight shaft drives while being able to dock with Side-Power bow and stern thrusters. This is possibly the largest Viking Princess that can travel The Great Loop unaltered. Please read the refit summary below. This boat is a masterpiece. There is no other boat like it. The seller owns a virtual yacht club and has business interests in superyacht design. SYS Yacht Sales is pleased to assist you in the purchase of this vessel. 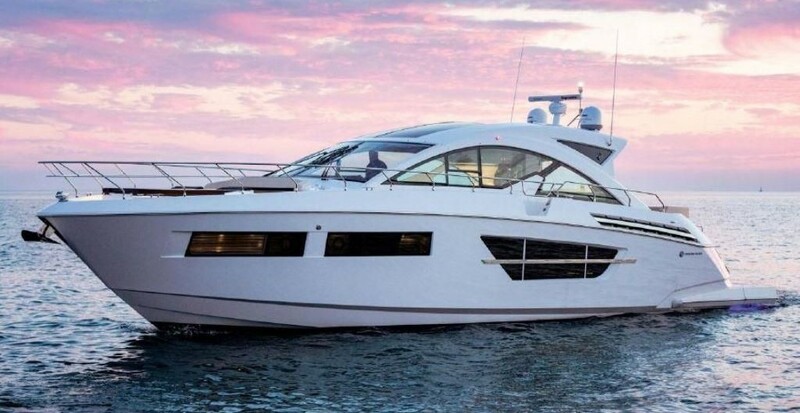 This boat is centrally listed by Westchester Yacht Sales.